Why Choose Get Bats Out? With over 25 years in bat removal we are THE industry leader. We have the experience you can have faith in to get your bat removal project done right the first time. Experience matters. We offer 24 hour customer service with emergency response if needed. Our customer service and project managers will communicate quickly and efficiently. You will never be left wondering how your project is going. We live up to our word, plain and simple. 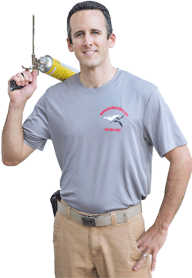 We include a warranty against re-infestation on all of our bat removal projects. And if you do need to use it for any reason, we respond right away. We honor our promise to you to keep your home or business bat free. With many years of experience in bat exclusion, we’ve accumulated references from Hospitals, Universities, Industrial sites, Big Box Retail Chains, Apartment Complexes, Public Utility Buildings, Warehouses, Libraries and more. With over 20 years of experience in residential bat removal, we’ve accumulated references from small and large homes, cabins, condos, apartments, and even a castle in Colorado. We know Bats don’t normally show up at a reasonable time. So, call us any time, day or night or fill out our form and we will call you right back to set up a free consultation. When you call us, you know you are talking to the professionals. Our Customer Services Department are ready to answer any question you may have. 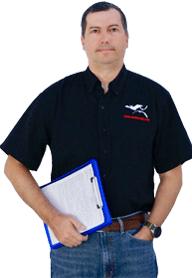 Our Field technicians are Professionally trained and Qualified to help you with your Bat Problem. It is all they do! No hidden costs or add-ons! We are the experts in the industry and know how to get the Job done right. To have a professional job done hire the professionals! 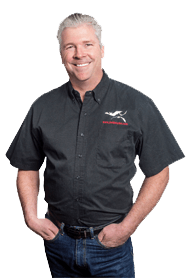 We Have Technicians Nationwide ready to Help you! Due to the unreliable nature of Bat migration our technicians are on the road full time thru the ‘Bat Season’ taking care of you! While we at Get Bats Out highly respect bats and all they do for the environment, we understand that bats and humans are not meant to cohabit the same building or home. Bats do eat 1000’s of mosquitoes each night, but in your home they bring the risk of rabies, histoplasmosis, property damage, and bat bugs (often mistaken for bed bugs). In a commercial setting, you can add liability, loss of customers, and depreciation. We remove live bats from all types of commercial and residential buildings. 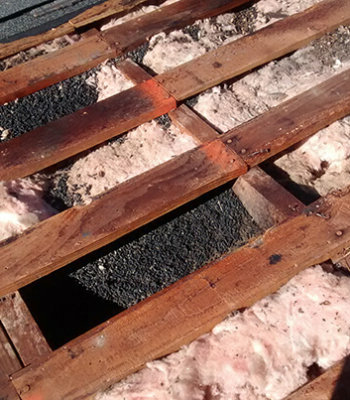 We do not harm the bats – we perform an “exclusion” followed by a “bat proofing”. When needed we also perform Histoplasmosis remediation and guano clean up. 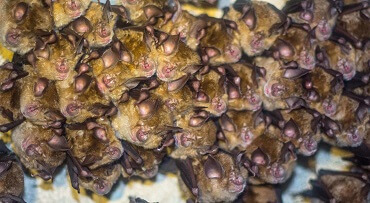 Large accumulations of guano sometimes breeds a fungus called Histoplasmosis (see article, Is Bat Guano Dangerous?). 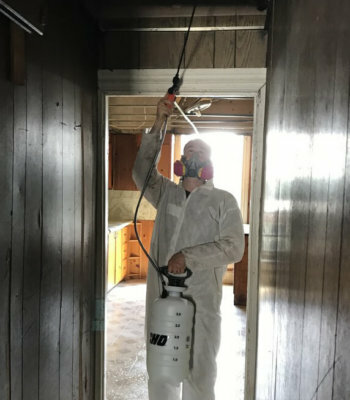 At Get Bats Out, we are fully qualified and have the necessary experience to help remove guano from your home or business and dispose of it legally. Bat guano cleanup, histoplasmosis remediation, or addressing lingering odor issues can be daunting. We’ll simplify it for you. Are you looking to be an educated consumer before making a decision on how to address your bat problem? 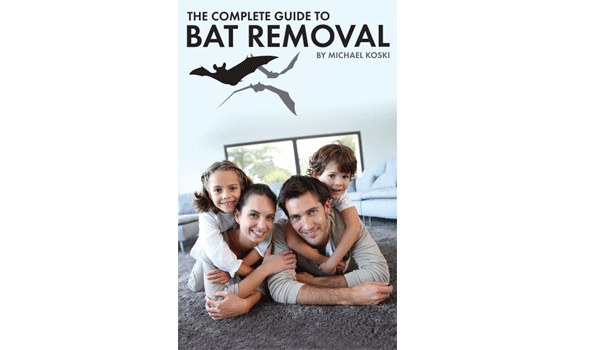 By purchasing our Complete Guide to Bat Removal we’ll cover everything from our frequently asked questions, how to utilize homeowners insurance (and actually get them to pay), doing it yourself, and how to hire a professional. We service all of the United States and parts of Canada. No project is too big or too small. 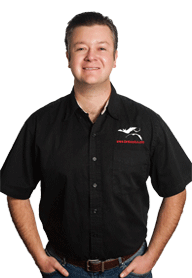 If you have a bat in your house or attic that you need to get rid of, we are here for you. 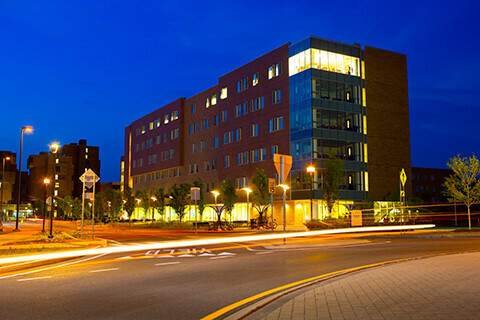 Our residential and commercial work experience includes Schools and Universities, Hospitals and Healthcare Facilities, Food Processing and Industrial Plants, Vacation Cabins and Condos, Apartment Complexes, Large Homes, Warehouses, Large Retail Chain Stores, Historic and Landmark Buildings. We are very happy with the timely "Excellent Job" Eric Performed. He was very concerned with our satisfaction, very knowledgeable, and professional to deal with. Get Bats Out is truly a professional service. Their assistance with coordinating with our insurance company to ensure a detailed scope of work resulted in our insurance company accepting the claim.